Save $50 when you order ten! 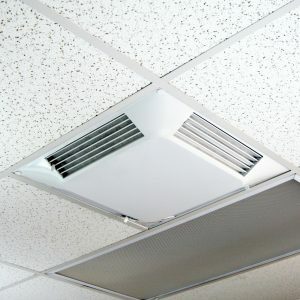 The air quality in your commercial building will improve greatly when you install this Breathe Easy diffuser air filter. 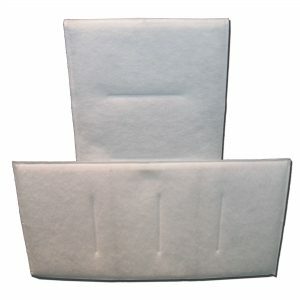 Cleans the air passing through your existing ceiling air diffusers and vents. 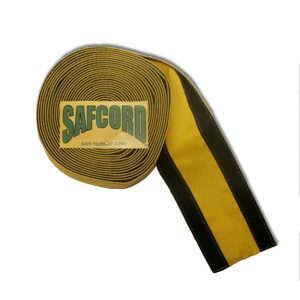 Multi-density polyester fiber with an anti-microbial treatment can destroy 86.5% of airborne microorganisms on contact. Breathe Easy works great to help collect debris when the new blowers are turned on, preventing the office space from getting dirty. 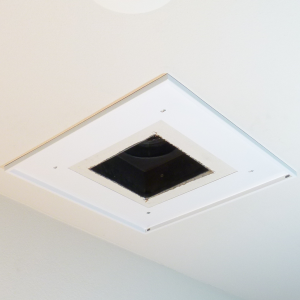 The Breathe Easy diffuser air filter destroys airborne microorganisms on contact, and also removes pollen, dirt, dust, mites, germs, mold, mildew, and other indoor allergens — all without the expense of ductwork! 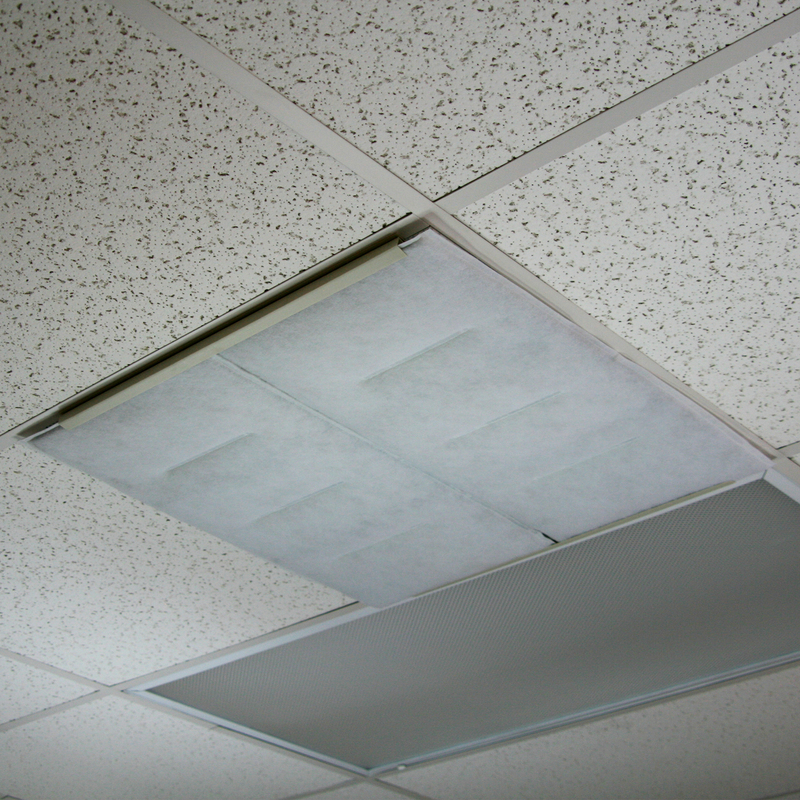 When rooftop AC units are replaced, Breathe Easy works great to help collect debris when the new blowers are turned on, preventing the office space from getting dirty. 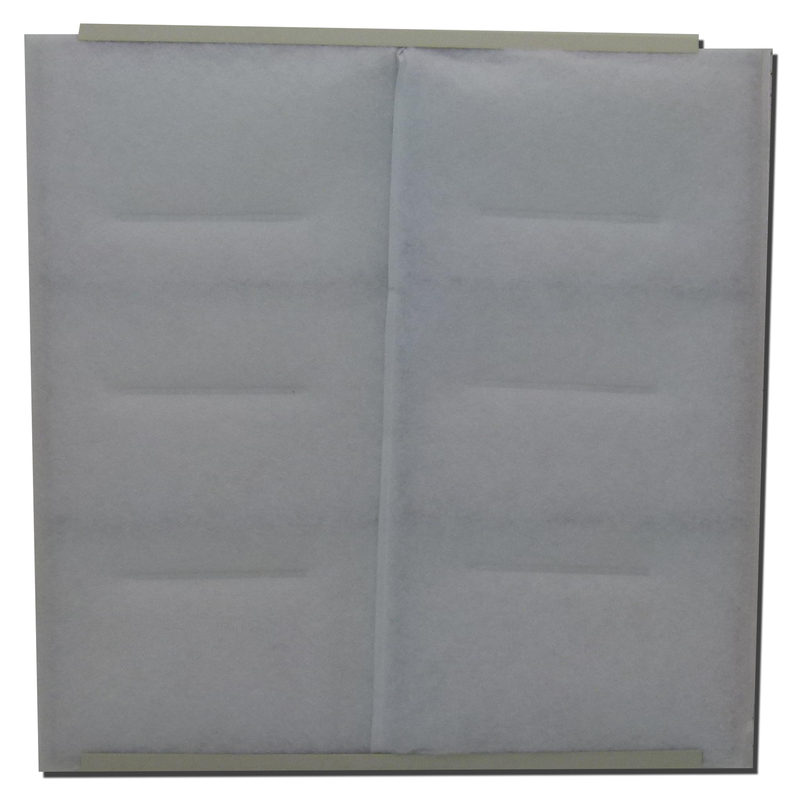 It can also be used on a return, capturing particles before they enter the air system.